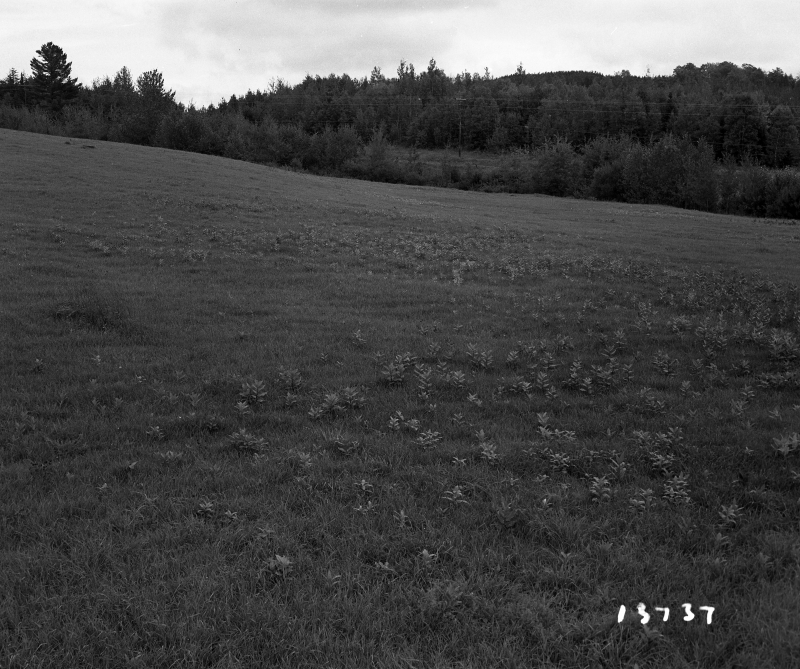 This is an image of a pasture on the Longley property. It was taken looking southeast. The large open field extends into the distance towards the edge of a dense forest.